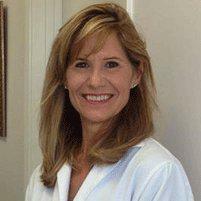 As a leading podiatrist in the Manhattan Beach, CA, area, Dr. Marcie Matika offers patients the most advanced, safest office-based surgical procedures available, using state-of-the-art equipment for optimal results. Her skill and experience combined with her compassionate approach to care have made her a favorite among patients in the Manhattan Beach, Redondo Beach, Hermosa Beach, and surrounding South Bay areas. What types of surgery does Dr. Matika perform in her office? Plus, Dr. Matika can offer treatment and guidance for circulatory issues like venous insufficiency that can result in painful varicose veins and swelling of the feet and ankles. Absolutely; Dr. Matika uses state-of-the-art equipment and proven techniques to ensure the best outcomes and the highest degree of safety for optimal results, quick healing and peace of mind. No surgery is performed without a complete and comprehensive evaluation of each patient's unique problems and anatomy, and depending on the condition being treated, most surgeries are only recommended after other, more conservative approaches have been tried and have failed to achieve results. As a leading foot care practitioner, Dr. Matika takes her practice and her patients' needs very seriously, and she works hard to ensure every patient gets the best, safest care available. How can Dr. Matika tell if I need to have surgery on a corn, callus, wart or other growth? In many cases, Dr. Matika will decide to pursue more conservative, non-surgical treatments first to see if those approaches can get the results you need to feel your best. Only once those treatments have failed will she consider a surgical approach to resolve the problem. Other conditions are best treated surgically right from the start to ensure proper healing and a quick recovery. During your consultation, Dr. Matika will discuss all the options for you so you can feel confident in the decision that's made.